Hens / Bachelorette Parties – Let’s see if hens can fly! So you have put in charge of arranging the hen’s party for your best friend who is soon to be off the market? Well why not try something completely different for the bride to be! Bucks / Bachelor Parties – Can your buck fly? If you are reading this you probably are the best man! Wondering whether all the boys will like the trapeze? Stop thinking and just do it! It’s probably the best fun the boys and the buck can have with their pants on... and don’t forget, you can even get the buck to put on his favourite pair of tights for the day! 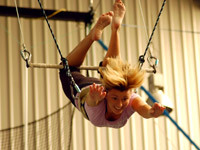 Our flying trapeze and circus classes will test all the boys and push them to their limits. 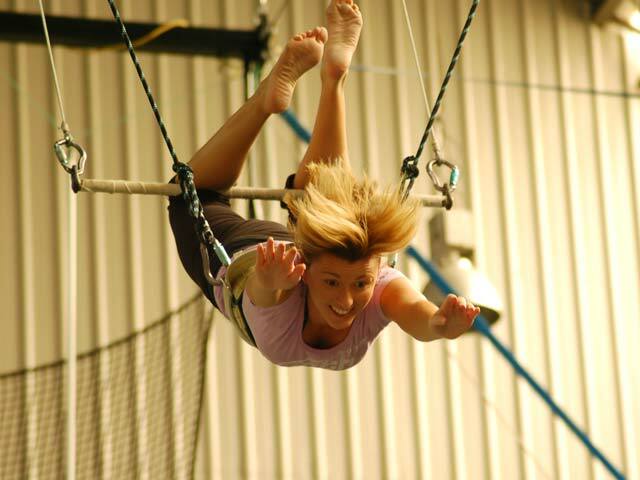 You’ll be bouncing off the walls on our jumping stilts and flying through the air on our flying trapeze. Get the buck one last hit of adrenaline before he gets hitched. 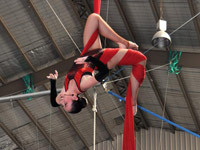 This experience is catered for the hens party keen to try not only the Flying Trapeze, but also the beautiful art of Aerial Silks and Tissue that many stars now perform on the big stage. 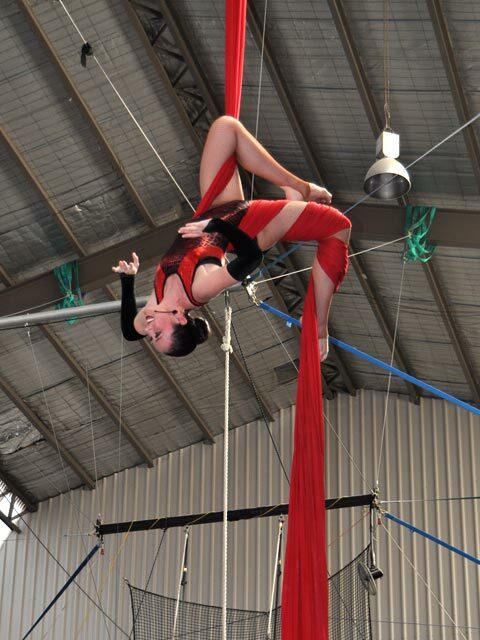 In this experience we have combined the Flying Trapeze class with a Silks / Tissue twist. Your group will learn the basic trapeze position and finish with an attempt at a mid-air catch with one of our experienced instructors. This experience is catered for the bucks party that enjoys danger and adrenaline. 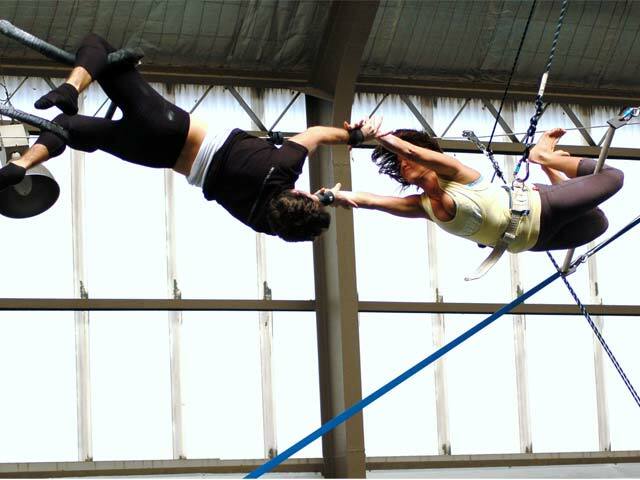 In this experience we have combined our Flying Trapeze class with a Jumping Stilts class. Your group will learn the basic trapeze position and finish with an attempt at a mid-air catch with one of our experienced instructors! 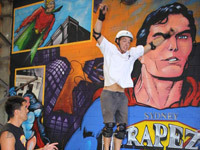 Learn to balance, walk, run and jump using spring loaded aluminium / fibre glass stilts. Standing up to 300-500mm off the ground and jumping up to 2 metres high, you can get some serious hang time and get a full body workout whilst having a lot of fun!